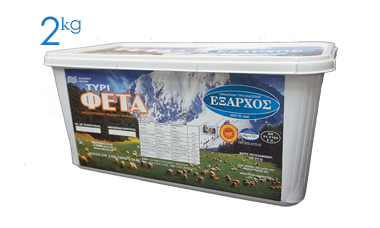 Feta PDO Elassona EXARHOS is prodused of sheep and goat milk collected exclusively from the mountainous area of ​​Olympus. 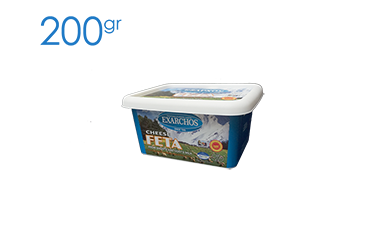 In these circumstances, milk gives the best flavors and with our knowledge and experience it is transformed into one of the most famous traditional cheeses, Feta PDO EXARHOS. 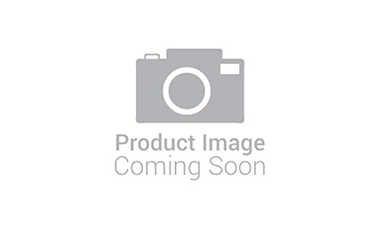 Packaging of a plastic container that holds the cheese in its natural brine packed and airtight to give freshness while also offering the possibility of a higher taste and quality of preservation time. 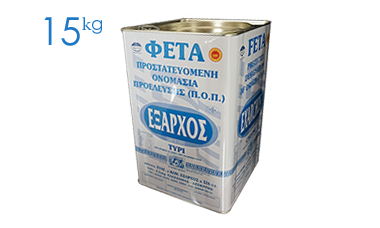 Feta PDO EXARCHOS is available in a plastic container with brine in sizes of 200g, 400g, 500g, 1kg, 2kg and 4kg. 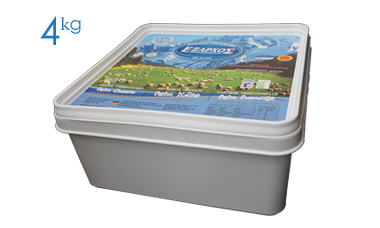 Vacuum plastic airtight packaging is a way of standardizing FETAS POR EXARCHOS in small packages in the dairy industry. 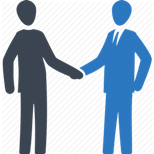 Having the trade name printed on the packaging, the consumer is confident of the choice made for both quality and quantity. 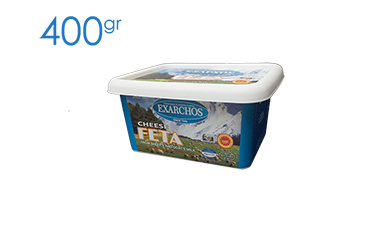 Feta PDO EXARCHOS in an airtight device is available in sizes of 200g and 400g. 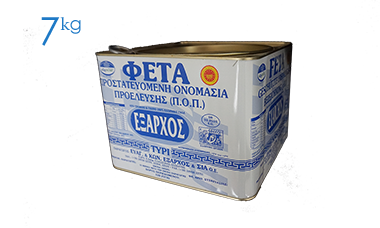 Feta PDO EXARCHOS cheese in Greece is sold mostly in the traditional way in bulk or container. So the customer in front of the store refrigerators has the ability to choose and control the quality and quantity they want. 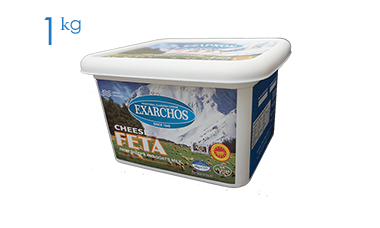 Feta PDO EXARCHOS is packaged in a container and is available in sizes of about 4.5kg, 7kg and 15kg. 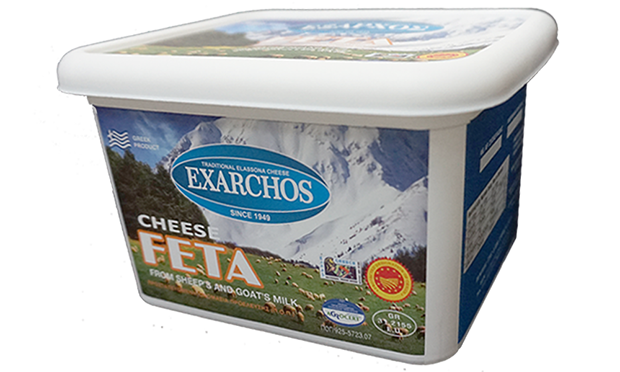 Feta EXARCHOS is produced from sheep and goat milk collected exclusively from the mountainous area of ​​Olympus. In these circumstances, milk gives the best flavors and with our knowledge and experience it becomes one of the most famous traditional cheeses, the “EXARCHOS” slice. It is made from sheep’s milk or sheep’s milk with goat’s milk, up to 30%. 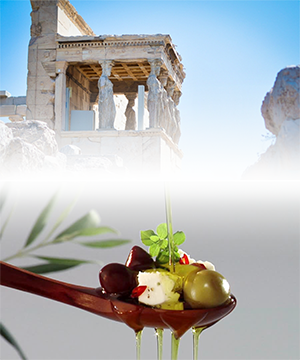 Feta is a sort of cheese in brine, the roots of which we find thousands of years ago in Ancient Greece. Looking for the origin in ancient Greece, we observe that we have the first references from Homer to the Odyssey, and more specifically to the myth of Cyclops Polyphemus. The legend says that Polyphemus was the first manufacturer of feta cheese and cheeses in general. Carrying milk from the sheep every day in livestock, she found to her surprise that after a few days the milk was sinking and became solid, edible and easily stored.